I fell in love with the work of Max Wanger as soon as I saw his images. 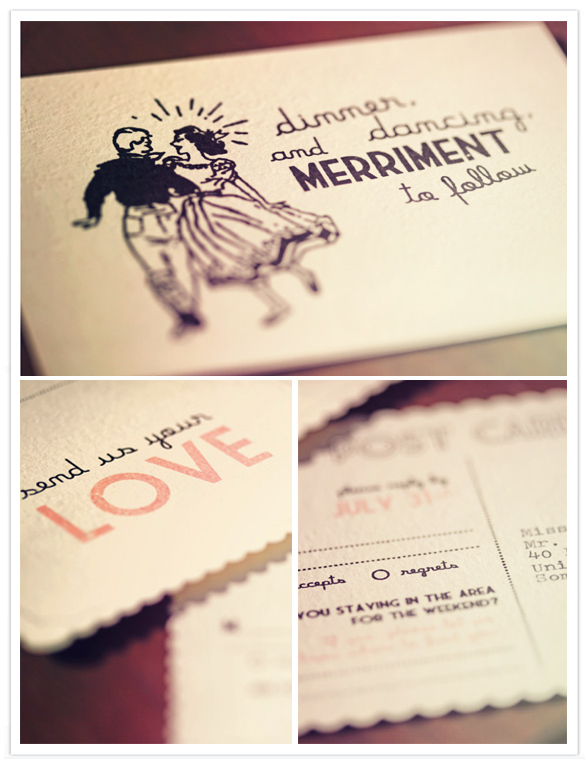 He has a vintage style that makes you feel like you're in a dreamy romance with a definite happily ever after. 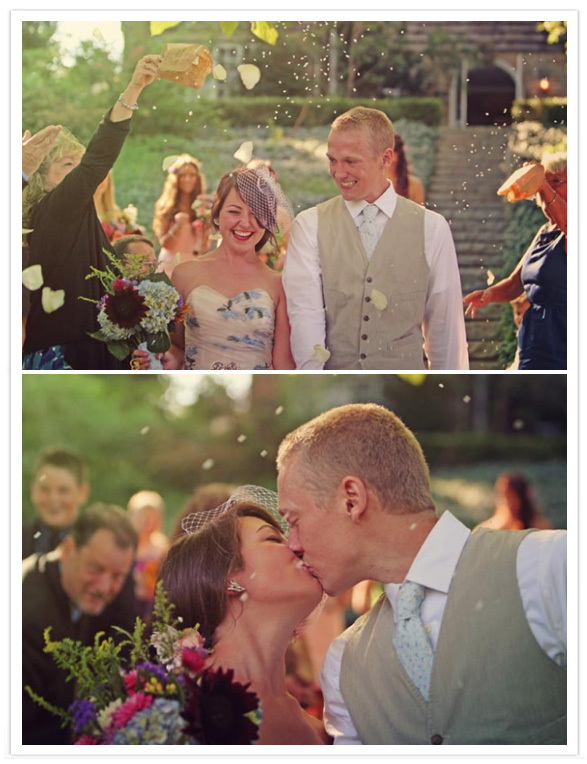 Just take a look at the following DIY wedding that I found on 100 layer cake. I absolutely love that Holly, the graphic designing bride, created all of her invitations and paper goods with her trusty Gocco machine. I actually used a Gocco to make my invitations as well, and the machine is so simple to use - it's literally just a high-tech stamp that you can customize to your liking. 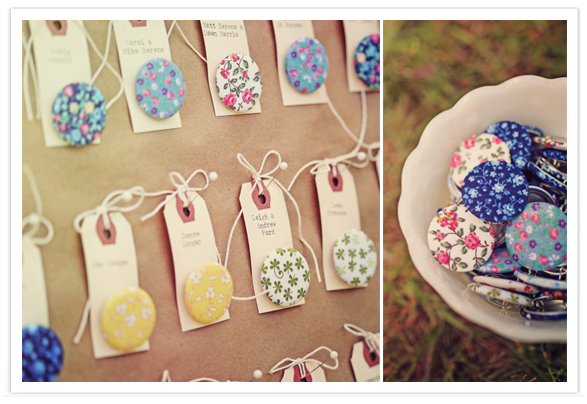 This is a creative and less expensive way to make beautiful invitations. 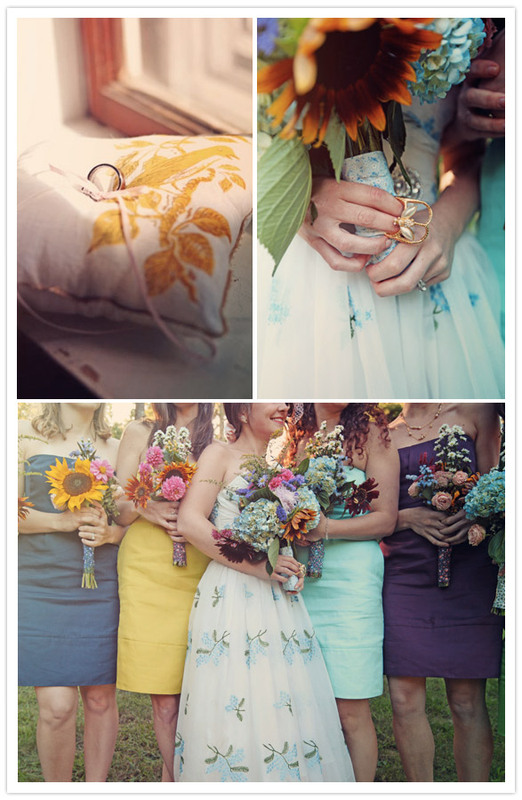 All her bridesmaids wore the cotton cady dress in different bold colors from JCrew. A super cute touch: the bride used the same fabric in the groomsmen's ties to organize the table seatings.